You may know if you're a regular reader that our dog, Lady is very much a big part of our family. She was there before the arrival of our two children, there by my side through morning sickness, became Darcie's best friend and then later Henry's. She keeps me company on nights when I'm alone due to my husbands unsociable hours. She's embedded in our family. She is the most placid loveable dog you could imagine and I only think its right we celebrate our loved ones, including those of a furry variety, by remembering them on our Christmas gift list. We've always got our dog something over the Christmas period, whether it's her favourite bone or a new toy. This year will be no different and we will make sure there is something under the tree for her too. 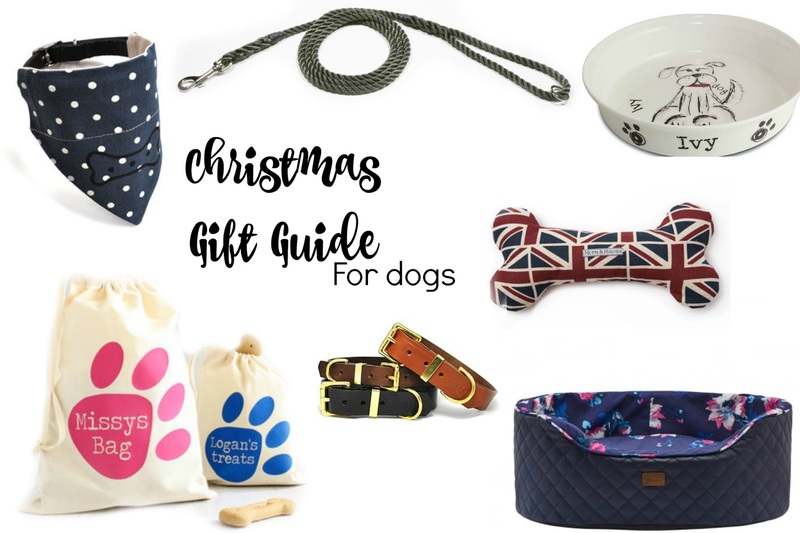 So if you're wondering what to get your four-legged friend, here a few suggestions to spoil them also this Christmas. Dog Neckerchief - My parents have a gorgeous Wire Fox Terrier who is often spotted wearing one of these. I'm not sure how my Labrador would take to one of these, but they definitely look pretty smart on a smaller dog. Beautiful yet classic dog lead - This is something I keep meaning to buy as our one has seen better days. Having a good quality lead is pretty important, this clip and ring lead is an ideal, the ring in the handle allows the lead to be halved in length which is perfect for roadside use and greater control - which is great for us as we often walk by the roadside and in the country. Personalised dog bowl - Treat your pooch to their own gorgeous personalised bowl. Who wouldn't want to eat their dinner off that?! Treat Bag - currently we have a little Tupperware box, something about these personalised bags is hard to resist. 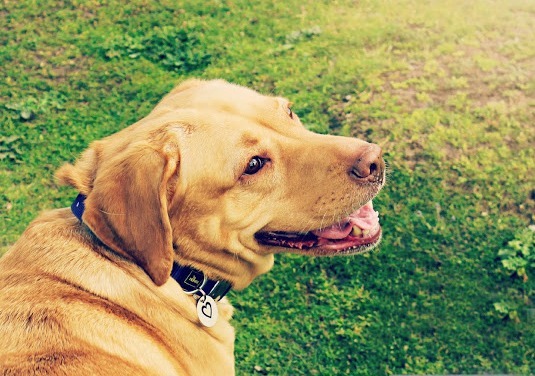 Leather dog collar - These are simple, classic and sure to make your dog look smart. These are handmade to order also. Joules dog bed - This is something that I have wanted to get for the last two years and would be a real splurge! But I can't help but think how lovely this would look and how comfy she would be. Plus it may stop her from sneaking onto the sofa. Hope this has given you some inspiration to treat your furry pals this Christmas.